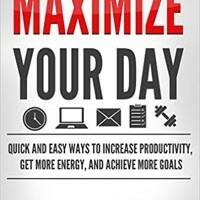 Maximize your day is a useful resource that provides tactics for proper lifestyles that prepares one to sail through the day to day challenges. The book was written by Mike Sherman and it highlights ways of achieving goals, how to live a productive lifestyle and various ways to increase energy. Read More .. The CEO of Zappos, Tony Hsieh is the author of this inspirational book. He applies his expertise in motivation to instruct leaders in various levels of business. His primary aim is to train others how to provide inspiration to employees and inculcate a sense of happiness and real satisfaction. In Read More .. The innovator’s dilemma is a book that attempts to answer the question why a large number of outstanding companies doing the right things fail. Such companies fail to maintain market leadership when faced with abrupt competition. This book demonstrates how similar practices that contribute to the success of those good Read More .. The initial chapter indicates an overview of the themes discussed within the book, detailing various aspects that have made individuals productive and organized in contemporary times. Lisa Banks asserts that planning is the starting point of truly productive people, where people who plan their days have a better sense of Read More .. 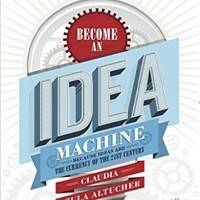 Become an Idea Machine is a best-seller, mostly referred to as a workbook or guide to 180 daily prompts that can help boost the idea muscle of individuals. It is prudent to realize that that many physical endeavors require training for good performance with extra-ordinary effort such as diet restructuring Read More .. Content machine is a very educative book written by Dan Norris. The book highlights the strategy for utilizing content machine to establish a seven figure business enterprise with zero advertising. Content machine is full of relevant points that if they can be applied appropriately they can move the business to Read More ..